Illustrated Architecture Dictionary ....................... Illustrated FURNITURE Glossary . 2. 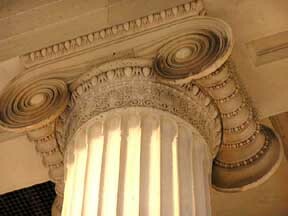 The roll forming the side of an Ionic capital. Also known as a pulvinus. 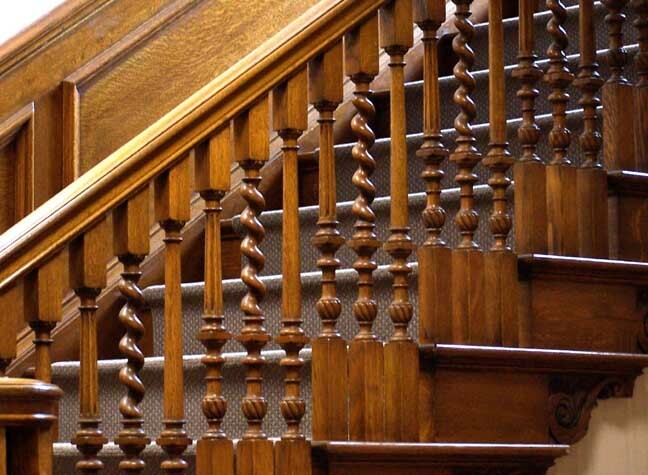 Balusters may be straight, turned or pierced. 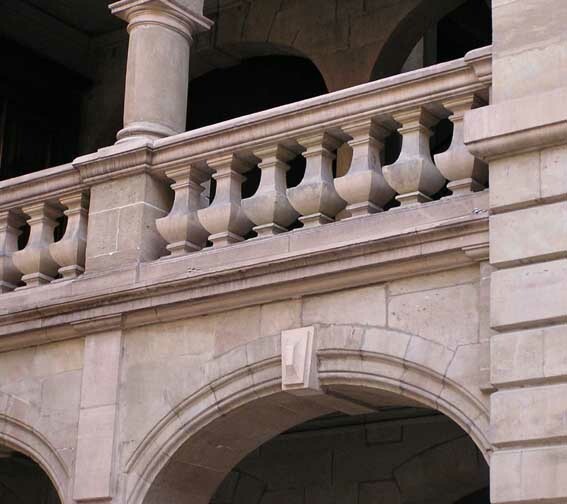 Vase-shaped/vasiform balusters (as in left illustration above) were introduced about 1650. The narrow section is referred to as the "sleeve," while the wider section is the "belly." 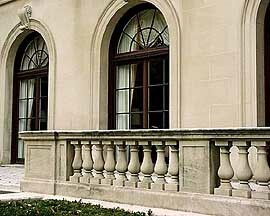 Cast-stone balusters were a development of the eighteenth century in Great Britain; cast iron balusters a development largely of the 1840s. 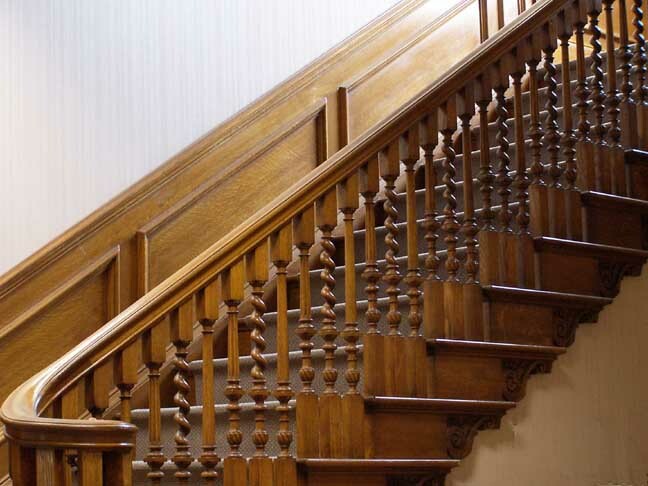 The more familiar Renaissance baluster form is the single baluster or a baluster with only one swollen section or belly, lending it a bulbous vase form. 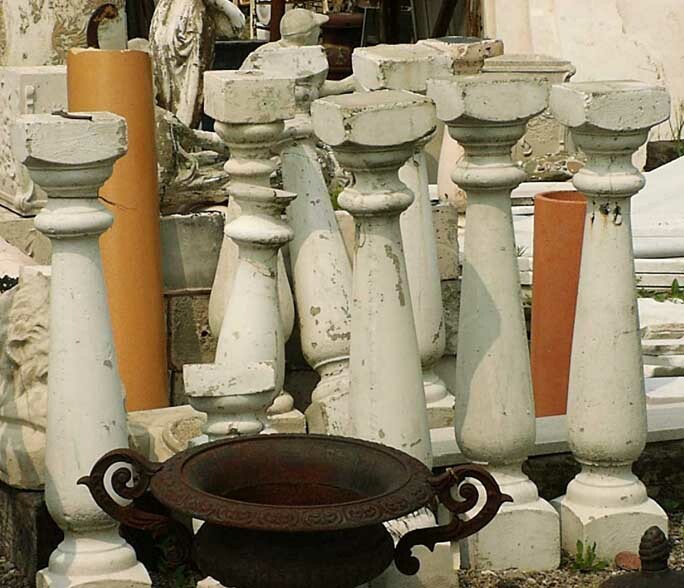 Like the double baluster, scholars generally agree that the single baluster form was inspired by Roman candlesticks ... It is this shape that gives us the name for the type. 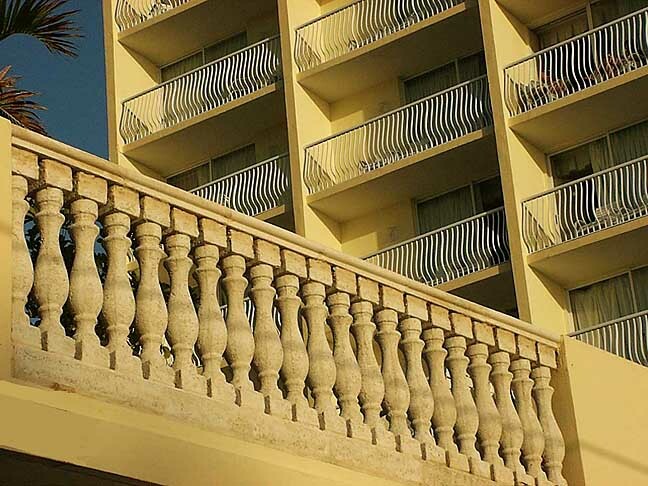 The word baluster is derived from the Italian word balaustro, which is the term for the flower bud of the pomegranate tree. Used as a stretcher between chair legs, or part of a chair back. Commonly an elongated urn or vase shape. 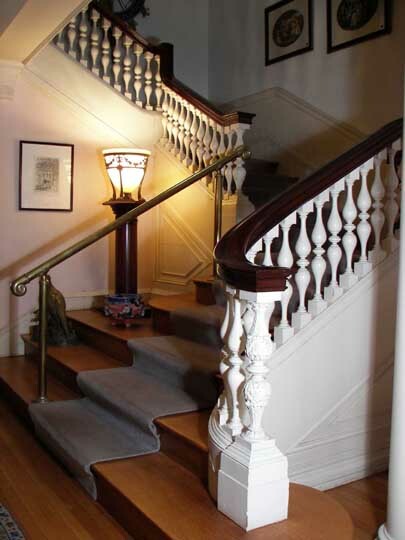 Definition #1 Drayton Hall near Charleston, S.C. Definition #1 Carpenters' Hall, Philadelphia, Pa.